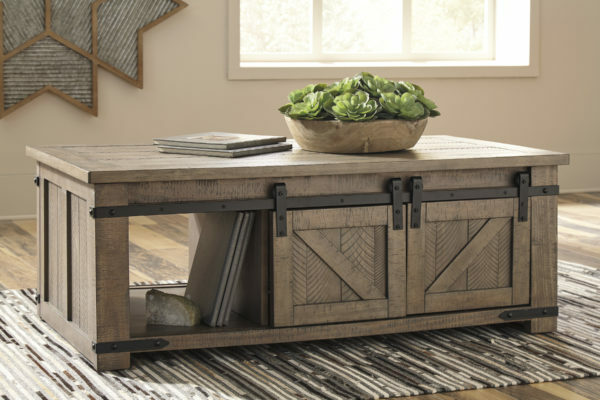 Crafted with solid pine wood treated to a weathered gray finish, the Aldwin storage coffee table is rustic farmhouse living at its best. Sliding barn doors reveal divided cabinet space that fuses form and function. Metal brackets incorporate an industrial twist. Aldwin Brown Occasional Series by Ashley. 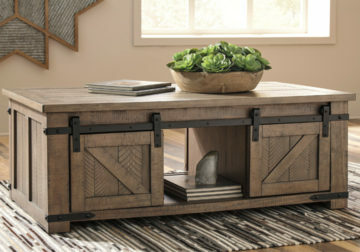 Made with Pine veneers and solids. Finished in a distressed weathered gray coloration with saw kerf distressing. Cocktail table features casters and sliding cross-buck barn door detailing with metal accents. 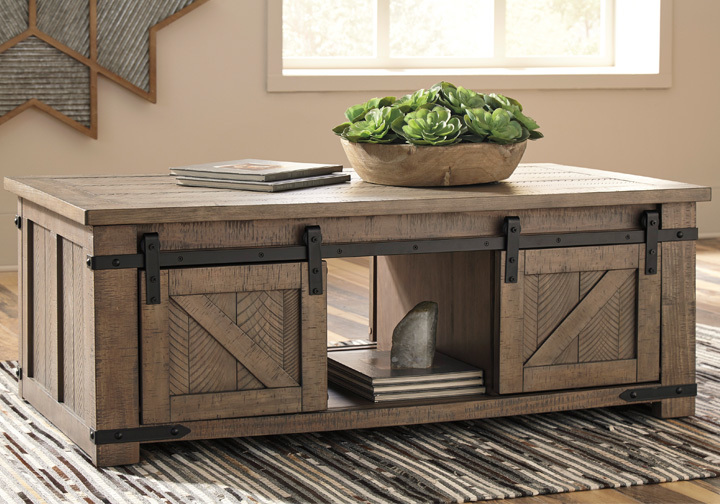 Metal brackets and hardware is finished in a dark antiqued gray coloration. End table has cross-buck detailed door storage and AC power supply with (2) USB charging ports in the open cubby.